Neon plate that lights up at Blacklight. 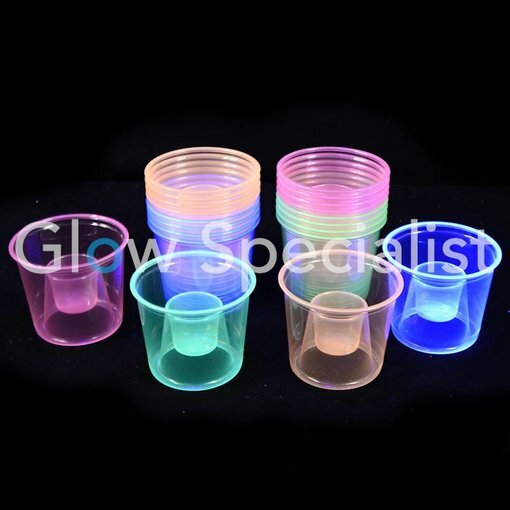 A must have at each Glow-in-the-dark party or blacklight event where food is served. Luminous dinner plate! It looks great in daylight, but you have to see the UV-reaction! Put your soda in the outer ring and your liquor in the middle and drink it together! 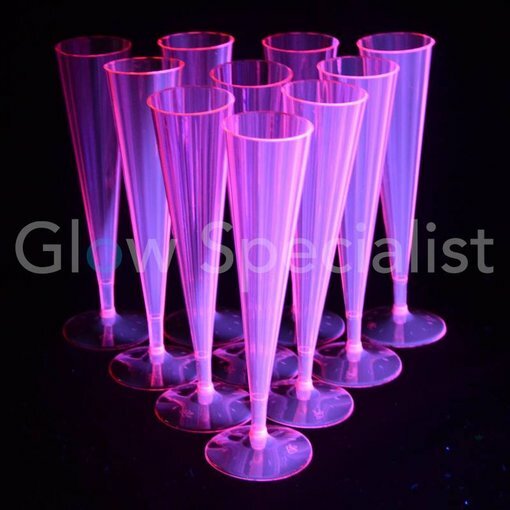 Beautiful neon flutes for your favorite drink or champagne. 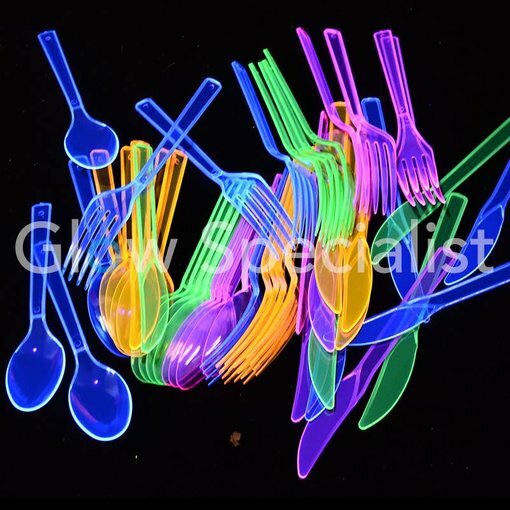 These neon plastic flutes have a lovely pink color in daylight and light up in blacklight. 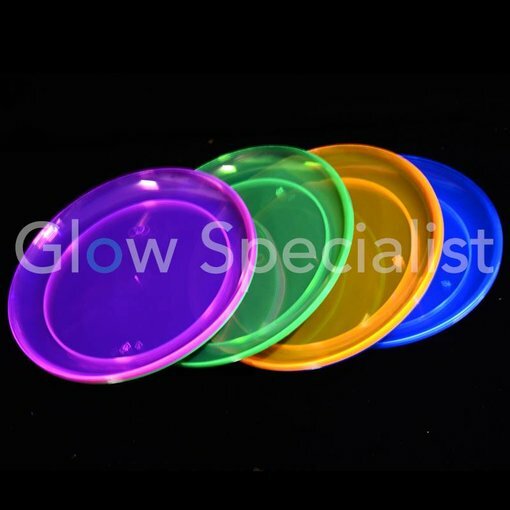 Don´t forget to order them for your Glow Party! Can also be used for Prosecco or cocktails. 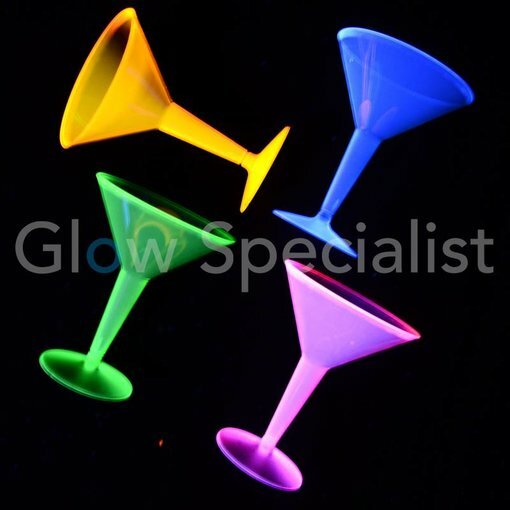 Neon Martini glasses (12 pieces) in four striking colors. Pimp your blacklight party with this amazing Martini glass.